Headbands seem to be the cool thing to wear right now, and they come in all fun shapes and colours. I'm not entirely sure that they suit me, and haven't worn mine out the house yet. In fact, last week, I gave this one to my good friend who was impressed with the cable pattern, even though I told her it was super easy and quick. I don't think she believed me. But, trust me, it is true. So true, that I decided that maybe I would wear it after all, and made another one with the leftovers from my rug, while catching up on season 3 of Game of Thrones. 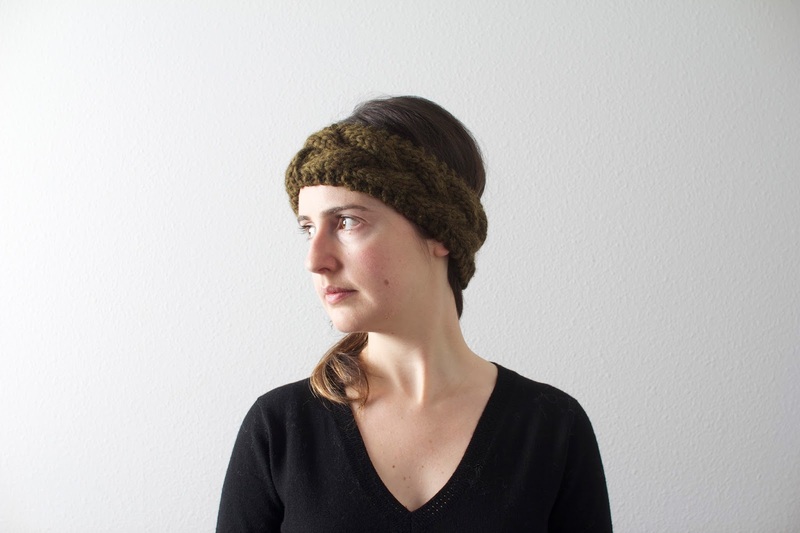 I think that the pattern for this headband designed by Rachel Jacks of Transient Expression is adorable. It takes no time to knit, and I got to use my leftover Cascade Magnum yarn, so even better. 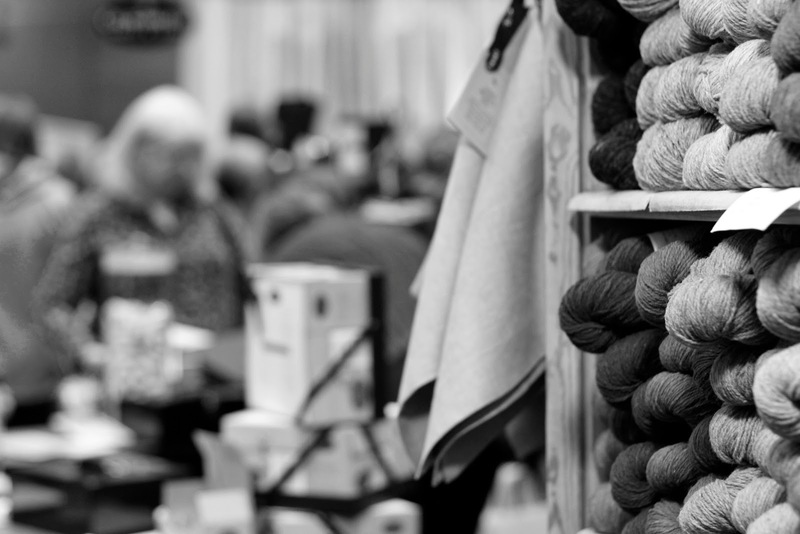 I recently attended my first knitting convention (Yes, there is such a thing. Actually, it's huge), and it was everything I hoped for and more. I signed up for 3 classes, and absolutely loved them. The only disappointment was that I took all theory/techniques classes as opposed to project classes, and so I left with knowledge and confidence, but not much to show for it. My first class was Ten Things Your Mother Never Taught You, with Candace Eisner Strick. First of all, she is great. Funny, quirky, patient, and a good teacher. I learned new techniques, discovered better ways of doing things that I was already doing and realized a few things that I should be doing differently. I signed up for the class quite a few months back and as it was approaching, I thought (naively) that maybe I knew those things already, but (obviously) I did not, and it was absolutely worth it. The one row buttonhole technique just blew my mind. I had no idea that it could be that easy, and I felt totally ready to start my first cardigan right away... as soon as I learned about gauge. My next class great class was Crochet for Knitters with Leslye Solomon. I had tried to learn crochet before without great success, and I think that the key here was that she took the time to teach us how to hold the yarn instead of just going with the idea that the individual most natural way would come to us with practice... 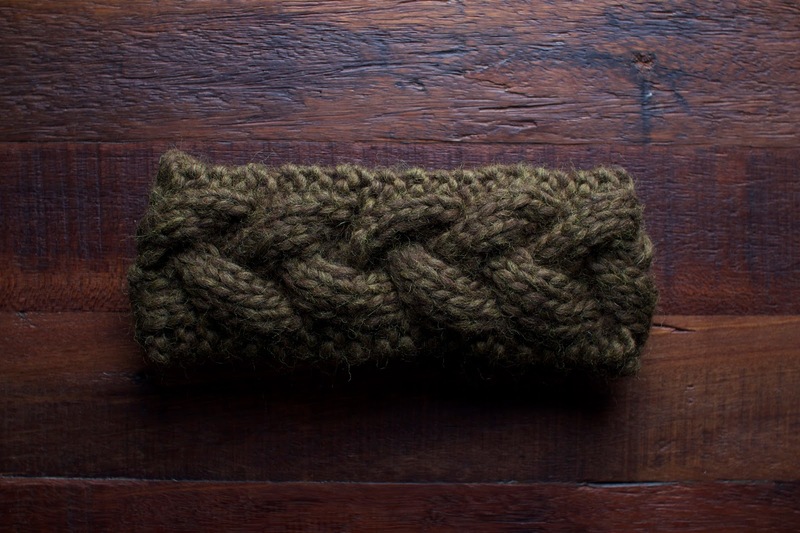 I'm excited to add some crochet finishing to my projects, and might even venture out into some small projects. Checking out the market was really fun. I bought a few patterns, found some cute notions, but got kind of overwhelmed by the yarn everywhere and resisted the temptation to impulse-buy a bunch. I'm not too sure how this reasonable side of me came through but I'm not complaining. Just before leaving, we stopped to spin the wheel for the chance to win a knitting book and guess what... not only did I win, but it was also a book that a friend showed me a few days before and I was sort of considering buying it, but not sure how many of the patterns I would actually make... it ended up on my Amazon wish list, on Wednesday, and Saturday I left the conference with my free copy. What are the odds. By Sunday, I was getting a bit tired, and not that excited to get up for an 8:30am Sunday class. Little did I know that Secrets of Gauge would be my favourite part of the conference. I have to admit, I now have a huge crush on Patty Lyons. The kind of crush where I think back on the class and smile, tilting my head with a quiet sigh, where I wish I had signed up for all her classes and where I'm planning on taking as many as I can in the future. 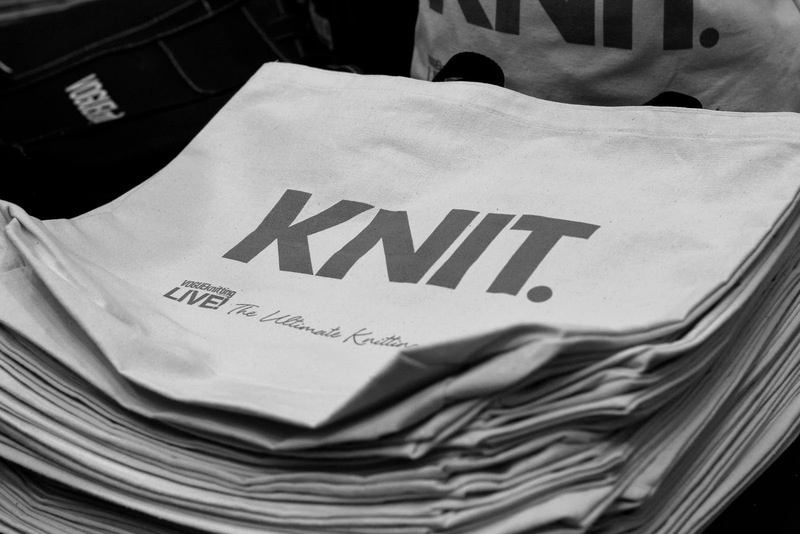 I really wish we were pals and could just hang out, drink coffee and knit together. I would happily make tons of swatches, promise. The class definitely convinced me to check my gauge before starting serious projects, and taught me principles on how to do it properly, although I do find the idea of unblocked, blocked and hung gauge a bit overwhelming. Yes, turns out you need to check gauge more than once per project. Now I just got to get swatching.